A study conducted by the U.S. Travel Insurance Association (UStiA) back in 2006 showed that many trip goers, while familiar with flight and trip cancellation insurance coverages, were not familiar with travel health insurance, baggage coverage, and medical evacuation insurance. In fact, only 50% of consumers who purchased travel insurance were aware of medical evacuation insurance. Much has changed in the travel insurance industry over the past 10 years. More travelers are purchasing insurance than in years past and, in a risk-laden travel landscape, the demand for trip protection is on the rise. "Familiarizing yourself with the finer details of a travel insurance plan can help reveal a plan's overall value and help you decide if insuring your next trip is the right choice for you," said Bob Chambers, Vice President of Operations at Generali Global Assistance. Though the UStiA study suggests trip cancellation was once a more widely-known travel protection coverage, Chambers says, "many standard travel insurance plans have always included, and continue to include, a number of lesser-known post-departure coverages that take effect when you begin your trip." Post-departure travel insurance coverages—sometimes referred to as in-trip coverages—are designed to reimburse you for specific financial losses that you might suffer as a result of travel misfortune. Unlike trip cancellation insurance coverage, post-departure coverages don't take effect until you begin your trip. 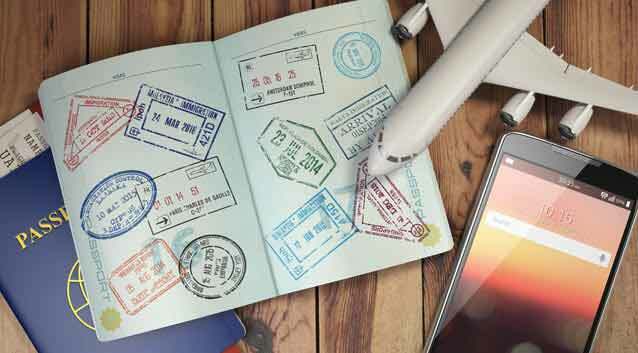 Many plans include a variety of post-departure coverages, and depending on the plan you purchase, multiple coverages could be of use to you if you encounter an unexpected event that interrupts your vacation. For instance, say you are out sight-seeing on the second day of a long-awaited family tour package when, the next thing you know, an extra step backwards to capture the perfect photograph sends you tumbling down an unfamiliar set of stairs. A hurried visit to the nearest emergency room results in a fractured ankle diagnosis, a string of medical bills for out-of-network medical treatment and a now useless—and completely non-refundable—tour package because it was medically necessary for you to return home. In this scenario, Medical and Dental, Travel Delay and Trip Interruption are three post-departure coverages that could potentially help you recoup your losses. In addition to seeking reimbursement for the out-of-network emergency room bills that your primary insurance provider may not cover, you can also claim compensation for lodging, meals, local transportation and telephone calls while you're delayed; the unused, prepaid portion of your trip; and even additional transportation costs to return home early. Provided you insured the entire family's arrangements when you bought your plan, you could all return home together and claim for the full remainder of the pre-paid family trip while limiting the stress of having to give up your vacation with no opportunity for reimbursement. Like trip cancellation insurance, post-departure coverages are intended to make you "whole" again after suffering losses resulting from a listed covered event, like an unexpected injury. Generally speaking, medical and dental coverage, referred to in the UStiA report as travel health insurance, typically provides reimbursement for physician-ordered medical services varying from prescription drugs and medicines to local ambulance services if you get sick or injured while on your trip. Travel delay aims to reimburse for reasonable additional expenses like lodging, meals and local transportation if you're delayed for a certain amount of time. Trip interruption provides reimbursement for the prepaid non-refundable portion of your trip that you had to forfeit due to the unexpected interruption as well as additional transportation costs that you had to pay to return home early or rejoin the rest of your travel party. But these are just three of several post-departure coverages included with many standard travel insurance plans. Others include baggage coverage, baggage delay, emergency assistance and transportation, accidental death and dismemberment, missed connection and even rental car damage coverage. What Travel Insurance Plan is Right for You? Depending on the nature of your arrangements, your destination and your unique individual needs and medical history, you should look to purchase a plan that fits you best and is right for your next trip. For instance, when traveling abroad, the U.S. Department of State advises travelers to learn what medical services and evacuation features your health insurance will cover overseas to ensure you're properly protected in the event of an emergency. Or perhaps you're scheduling a cruise and intend to bring a variety of jewelry and formal wear on board. In that case, maybe a plan with increased baggage coverage limits appeals to you. 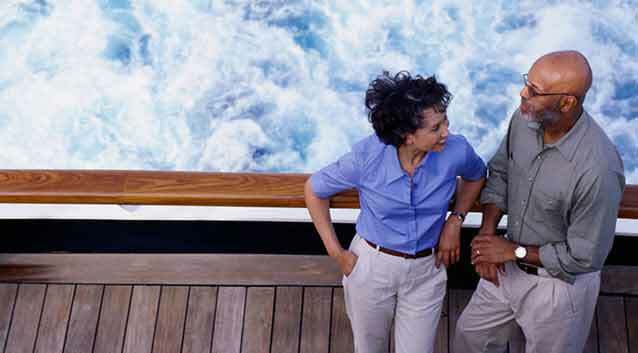 Read Travel Insurance Comparison: How to Choose the Right Plan for more information. Wherever your next trip takes you, be sure to look beyond trip cancellation insurance and explore what a plan's post-departure coverages have to offer. And if you're considering buying travel insurance, remember to purchase from a reputable provider, such as Generali Global Assistance.